'Red mud' or 'bauxite residue' is a highly alkaline waste generated from alumina refinery with a pH of 10.5-12.5. Red mud poses serious environmental problems such as alkali seepage in ground water and alkaline dust generation. Most of the environmental hazards related to disposal of red mud can be reduced by its safe treatment and efficient utilization. Sintering of red mud along with a silicate material at a very high temperature fixes nearly all the leachable soda and the mixture can be utilized as a building material. Fired and non-fired bricks can be developed by mixing red mud with fly ash and other materials. In this way, red mud can be utilized in bulk in building and construction industry. Review of utilization of red mud in manufacture of fired and non-fired bricks is presented in the paper. Bauxite Residue, Red Mud, Utilization, Bricks. Paramguru K, Rath PC and Misra VN. Trends in red mud utilisation- A review. Mineral processing and Extractive Metallurgy Review, 2005: 26: 1-29. Garhard B, Method for producing bricks from red mud. US Patent 3886244,(1975). Dass A, Malhotra SK Lime-stabilized red mud bricks. Materials and Structures, 1990, 23: 252-255. Satpathy BK, Chaddha MJ, Sharma RJ, Rai SB, Roy A. 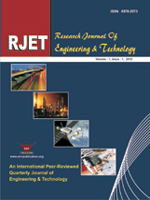 Preparation and Characterization of bricks using bauxite residue- A Innovative Approach. ICSOBA -2011, International Committee for Study of Bauxite, Alumina and Aluminium at Goa, India , 17-19th Oct. 2011. International Seminar on Bauxite Residue. Iwu. Gregory Onyemauwa, Method of treating bauxite waste red mud with acid and making construction bricks from the treated material, United States Patent 3985567, (1976). Xing, G, Jiao, ZZ. The development of non-autoclaved brick made of red mud and fly ash. Rare Metals Cemented Carbides 1993, 6, 154-163. Yang. AP. The development of brick made of red mud and fly ash. Light Metals 1996, 12, 17-18. Peter N, IDRC Reports. Making Bricks with red mud in Jamaica, No. 21(2). International Development Research Centre, Ottawa, Canada (1997). Jiakuan Yang and Bo Xiao . Development of unsintered construction materials from red mud wastes produced in the sintering alumina process. Construction and Building Materials, 2008, 22 (12): 2299-2307. Liu W, Yang J, Xiao B. Application of Bayer red mud for iron recovery and building material production from alumosilicate residues. Journal of hazardous materials, 2009, 61 (1): 474-478. Dimas DD, Ioanna P, Panias D. Utilization of alumina red mud for synthesis of inorganic polymeric materials. Mineral processing and Extractive Metallurgy Review, 2009, 30 (3): 211 –239.